and Manhattan Business Hall of Fame. The one and only Official Impression Trainer in Japan sought after by leading companies and individuals. Requests for Media Training are greatly increasing from politicians, athletes, doctors, CEO and board of directors worldwide. With the help of the Impression Trainer Miyuki Shigeta, you will receive impression training and media training first hand. The training will drastically improve and strengthen your total image. From 2009, we have started global operations as the need for impression training overseas has drastically increased. We are especially committed to contributing to the level of customer services in Asia. In Mongolia, we are currently training 5 leading companies; Tavan Bogd Group, the Gobi Co., Kempinski Hotel, MIAT (Mongolian Airlines) and Juulchin Tourism Corporation of Mongolia. First Official Impression Trainer in Japan. After the training, many people tend to utter those words. But the truth is if you want to change, you can change in an instant. All you have to do is take a deep breath and dive in! Did you know that it takes only half a second for the first impression to develop? Impression training will change how people see you in an instant. How would you like to travel to a world you never thought you could reach? Just by correctly drawing out all your potentials, you will be able to change so drastically to your ideal that you have only dreamt of ! What is Impression Training ? 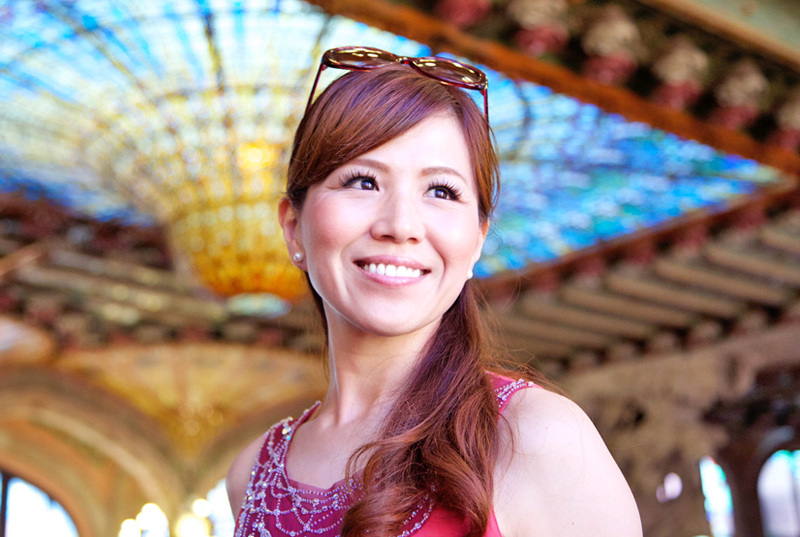 Miyuki Shigeta, the first official impression trainer in Japan will personally train you. She specializes in customer care and first impression. Impression training is produced and developed from the popular media training in America. The training method is unique, constructed through her first hand experiences. She has received many awards for outstanding customer service. She then worked at Marunouchi Hotel where she started as a part-timer and within a year and half, became an executive chief and VIP Club Lounge manager. She not only managed to obtain a high level of customer satisfaction, but has also successfully created pleasant working environments for the staff. She now receives much attention from wide range of individual professionals and companies seeking advice. When applied to customer service, impression training will obtain customer satisfaction and respect on both sides of the party, creating a win-win situation. It combines customer satisfaction and human satisfaction. Impression training has helped many companies obtain high levels of satisfaction from workers and clients. It not only raises motivation but is often considered and included as part of the company welfare programs for workers. Questions such as the above will be answered by Shigeta trainer. The training will be tailor-made, fully shaped around your needs. Our unique methods have no limits. It appeals to all ranges of people. It can also be applied in other areas than customer service. It will be a training you have never experienced before! Stimulating impression training and media training programs for manager classes and individuals seeking to change are also available. Please contact The M.snow Group for more details. As an experienced international cabin attendant at JAL, she has travelled more than 60 chief cities around the world. Her warm hospitality touched many people’s hearts but regrettably retires due to her health. After recovering, with the support from people longing her to return to the sky she manages to return as a CA at JAL ways. Her performance towards service was received with satisfaction from customers and as a result, achieved “Good Performance Awards” and many other awards given only to outstanding performances. Since then she has lectured at various universities and technical colleges. After CA, her career took a turn and she worked in a famous hotel in Tokyo where she became a VIP Club Lounge manager from a part-time cleaner in less than a month. Her exceptional accomplishments at the hotel enabled her to be promoted to an executive manager in a year and half. Currently as the only Impression Trainer in Japan, she advises politicians and board of directors. The need for her advice is increasing drastically. From 2008, she has been lecturing “Hospitality and Tourism Management” course in Asia University as a part-time teacher. From 2009, she has started impression training in New York USA and Mongolia where she trains at leading companies. Her second book is due to be published winter 2009. © M.snow New York, Inc. All rights reserved.